About Product : Husk of coconut & a pinch of clove.. mixed with the aroma of jasmines afloat ..to soothe her body & soul.. a sweet smell reaches the mountain.. intoxicated! he hand-pick the jewels everyday for her.. showering yet another glitter.. a handful of gems falls on her.. the wind braids them together.. presenting a garland to uplift her beauty.. Dancing in India is as old as her civilization and has a vitality as perennial as the culture that bought it into being. The fact that our artist and philosophers long ago could give such highly aesthetical and beautiful form of imagination. In rig Veda, composed sometime before 1500 BC, we find frequent references to dance and musical instruments. Taking birth in the rituals of the temple, the art of Bharat Natyam is traditionally a occupation confined to certain community. The Nattuvans are its traditional teacher, and the Devdasis the temple dancers. 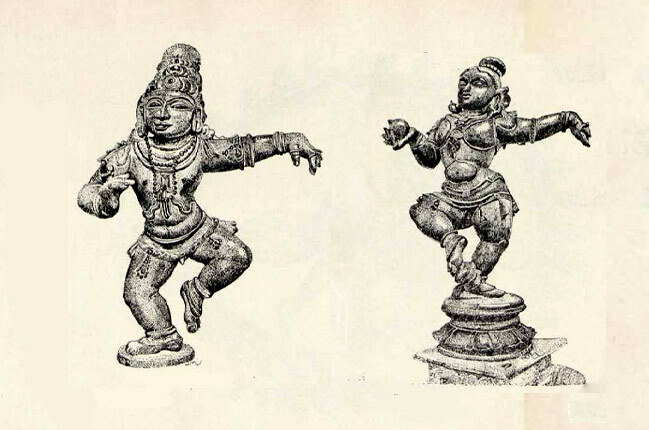 The mythological reference to this dance, bharat natyam is obviously very ancient origin. Its history goes back to the days of Mahabharata when Arjun in the disguise of Vrihannala gave lessons in the type of dancing to Uttar, the princes of Virat. 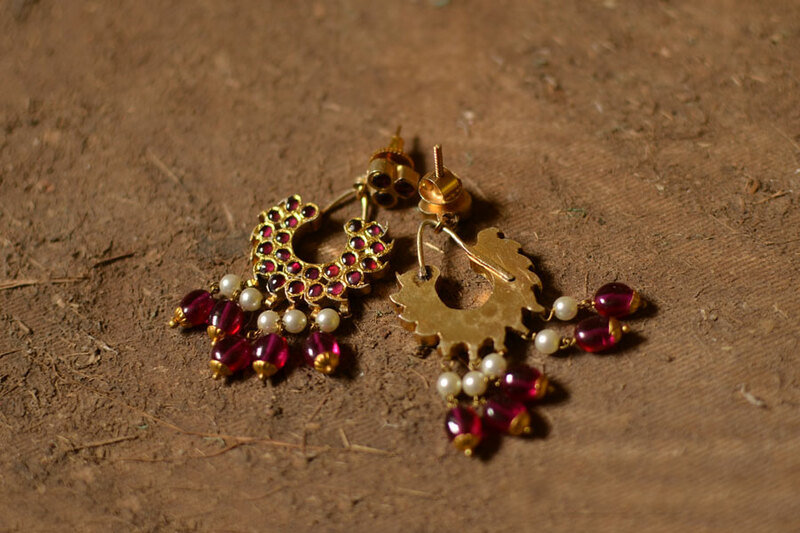 Different types of textile and crafts are also commonly associated with dancers practicing the dance form of Bharatanatyam or Kuchipudi, temple jewellery is one of them. 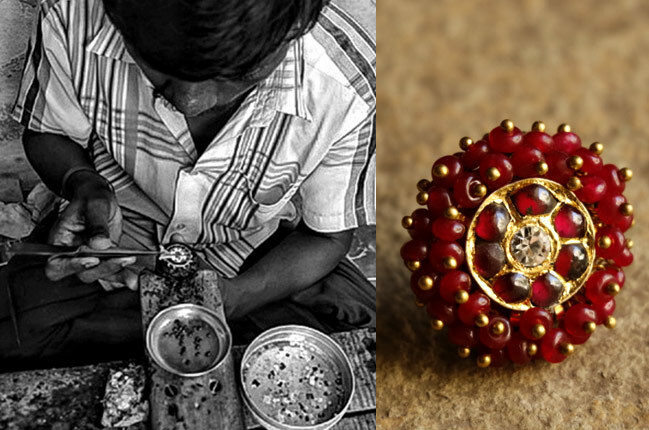 Temple jewellery is characterized by some of the finest handwork, painfully crafted by skilled craftsmen and jewellers. 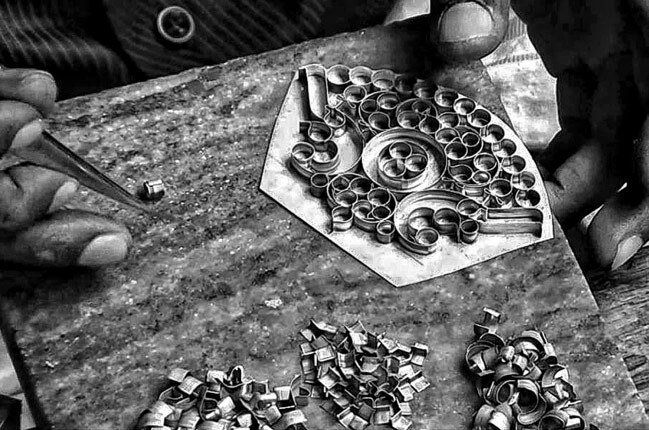 Due to the finesse required in crafting it, the time required to deliver the jewellery may sometimes even go up to a year, depending on the number of pieces required. But one sight at the final product and most of customers will forget the agony of their wait. 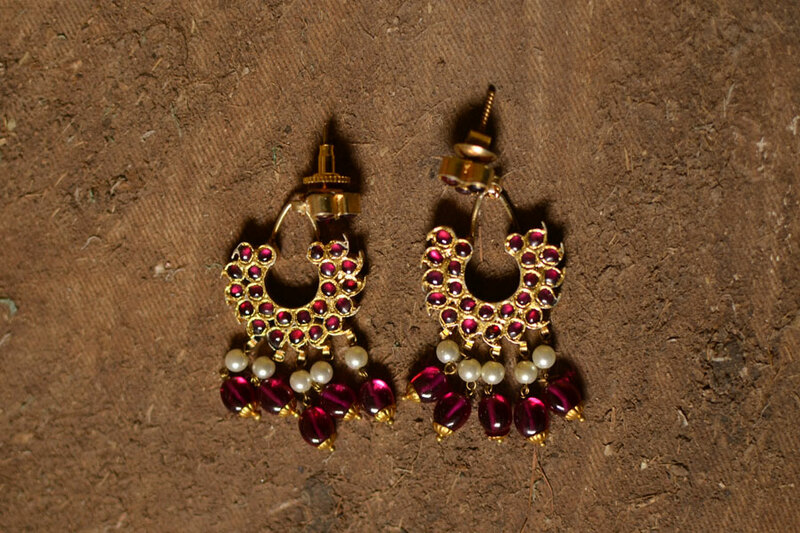 Made with rubies, emeralds, diamonds pearls, sapphire and other precious stones with the foundation in gold. Today antique jewels are in silver and 24 ct gold leaves. They are embedded in alluring kemp stones keeping up with the traditions. In 21 century, temple jewelers adorn not just classical dancer , but also women everywhere who have a taste for the aesthetic. More then a fashion statement it has become an iconography of refined culture and historic elegance. Note We do not accept returns or exchange of the products listed in this category.for any damage, We will fix it and send it back. Shipping These products are made to order & will be dispatched after 2 weeks from the date of confirmed order. 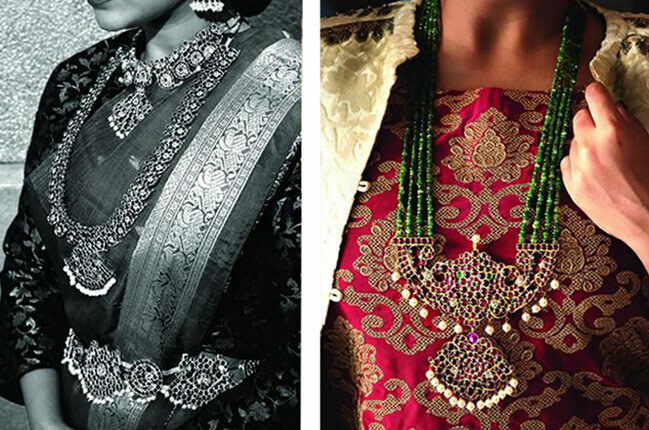 Product details A string of kempstones with a pendant that radiates grace and sophistication is a must have as a part of your traditional attire ensemble. Dancing in India is as old as her civilization and has a vitality as perennial as the culture that b..